STRAIGHT FROM THE DEVS: London, UK - 10 January 2018: Having set out on a mission to reignite the spirit of the old-school shooter, Bulkhead Interactive and Square Enix Collective are both proud and excited to announce Battalion 1944. What players won’t fail to notice during the beta is the combination of tightly crafted multiplayer maps and perfectly honed weapons designed for well-balanced encounters with an aesthetic that taps into an authentic WW2 feel. "Getting to grips with the intense nature of the Second World War is something that’s been key to our process,” offers Howard Philpott - Creative Producer at Bulkhead Interactive. “That’s something I also think comes across in this new reveal trailer - the action in a Battalion 1944 encounter is as feverish as it is credible. We’ve looked to bed the play down in maps that are both competitive and authentic, for which our trips to Normandy proved immensely useful”. 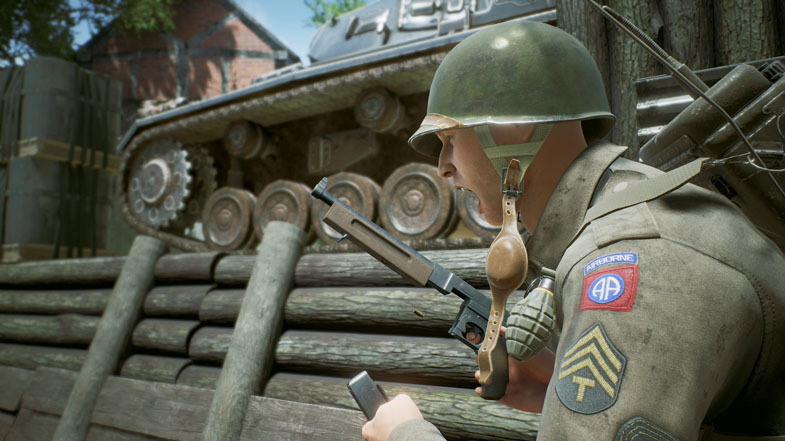 Last month Bulkhead Interactive and Square Enix Collective revealed Battalion 1944 will retail for $14.99. As previously noted, that’s actually less than the bottom tier during the game’s Kickstarter campaign. As a result, those who backed Battalion 1944 when it was being crowdfunded will gain access to unique backers only skins, multiple cosmetic and vanity focused loot crates.